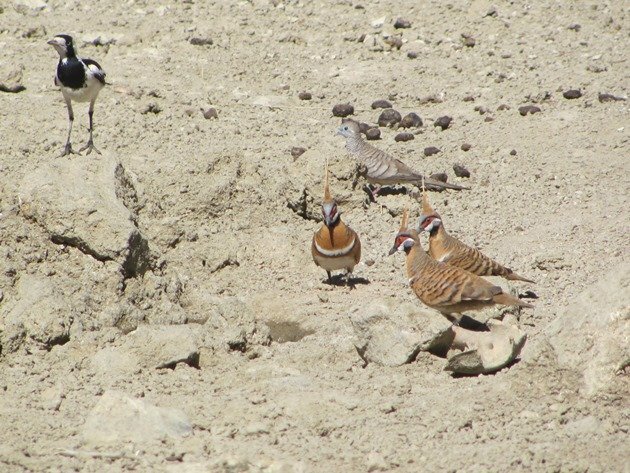 Quarry birding is rewarding anywhere in the world, but in the Kimberley it can often be the last place that birds can find water after months with no rain. 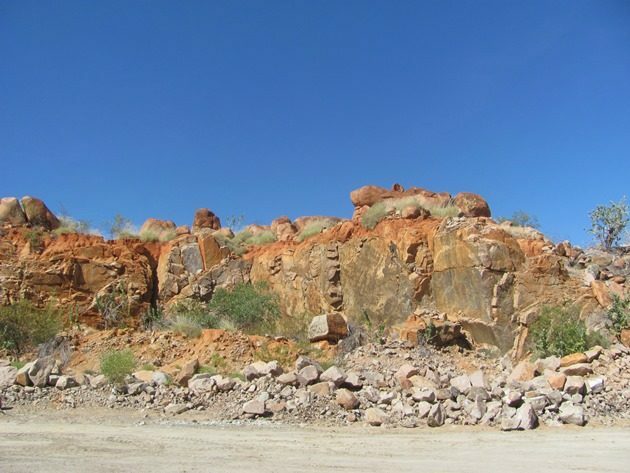 Often the quarries are very picturesque too as you can see above and below! 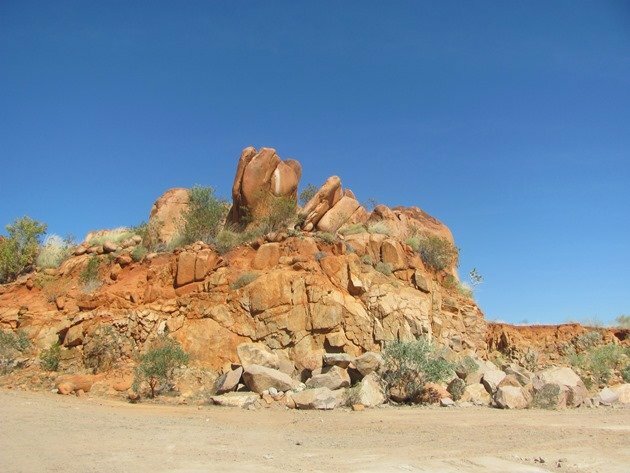 This particular quarry north of Fitzroy Crossing was almost dry when we last visited, but not dry enough that there were no birds at all. 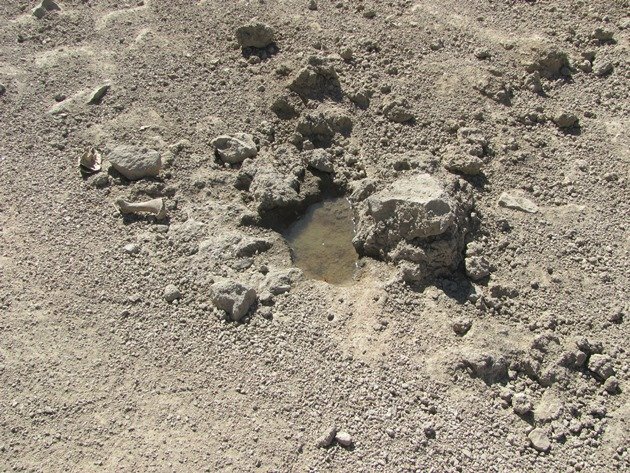 There actually could not have been much less water really, because it was little more than a hoof print full after the last of the cattle gave up on it for a supply of water! The total water left at the quarry! Knowing how important water is to birds in the bush we decided to sit and wait a few minutes and see if the water supply was still in use. 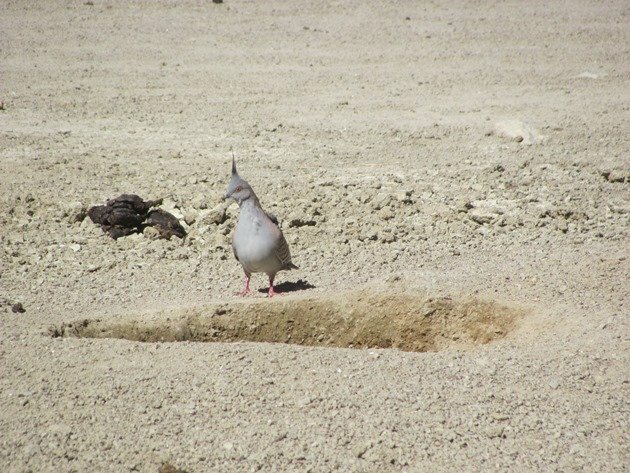 We were not surprised to soon have birds dropping into the quarry for a drink. 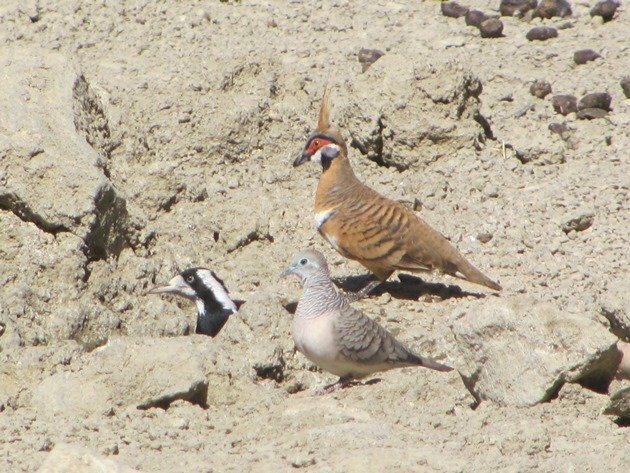 The first bird to arrive was a Crested Pigeon who checked the first hollow and it was only damp, so moved to the last remaining water. 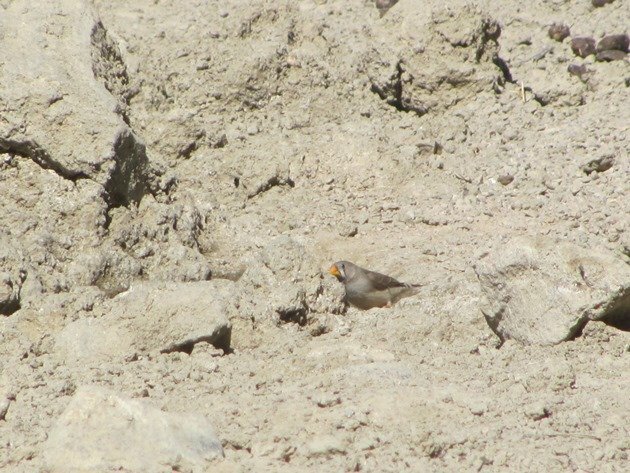 It was then followed by several Zebra Finch desperate for a drink. 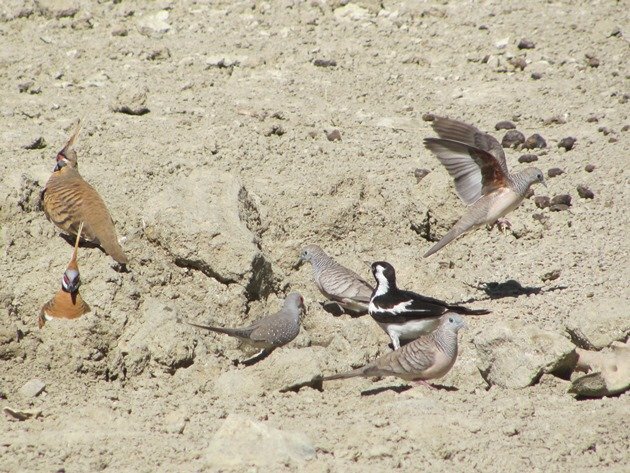 It didn’t take long and a Magpie-lark arrived on the scene followed by Peaceful Doves and they nipped in for a drink. 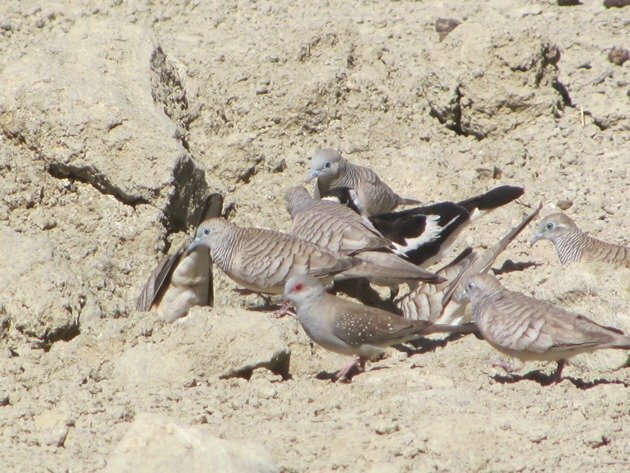 Next on the scene was a lone Diamond Dove with its lovely red eye and spotty wing pattern. 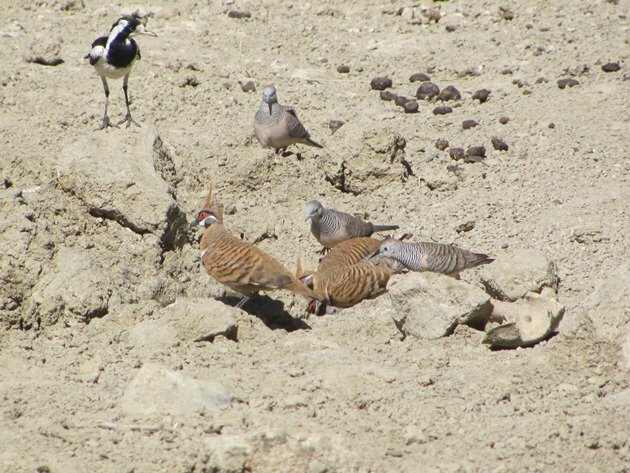 Just when you thought it was all looking a bit “grey” and “black and white” who should show up, but our beautiful Spinifex Pigeons! You just have to love these birds! The water would not last for many more days at all and maybe if we had stayed longer even more bird species would have dropped by, but we were happy to leave them to it on such a hot dry day. 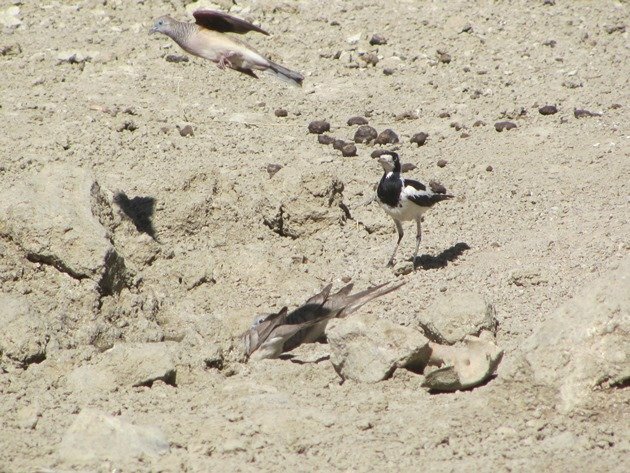 Poor birds, I hope they found water elsewhere when that hoofprint dried up. 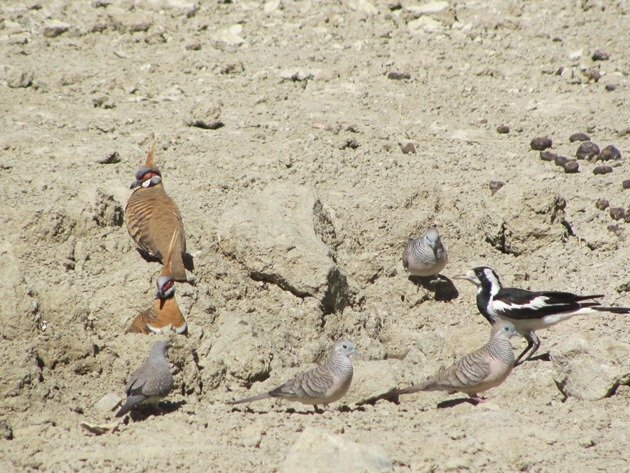 Those Spinifex Pigeons are to die for! I’ve never heard of them before. Is the quarry still active, and if so, what is being mined? Yes and it is only being mined to get rock for road resurfacing as required.